Programming 8051 using arduino up for grabs! This project was lost, luckily while digging I found a backup file. I am now making this project available for public use. Released as is with no warranties, I am not liable for any harm done to your system. This should be used ONLY FOR EDUCATIONAL PURPOSES. The client file requires .NET Framework 4.0. 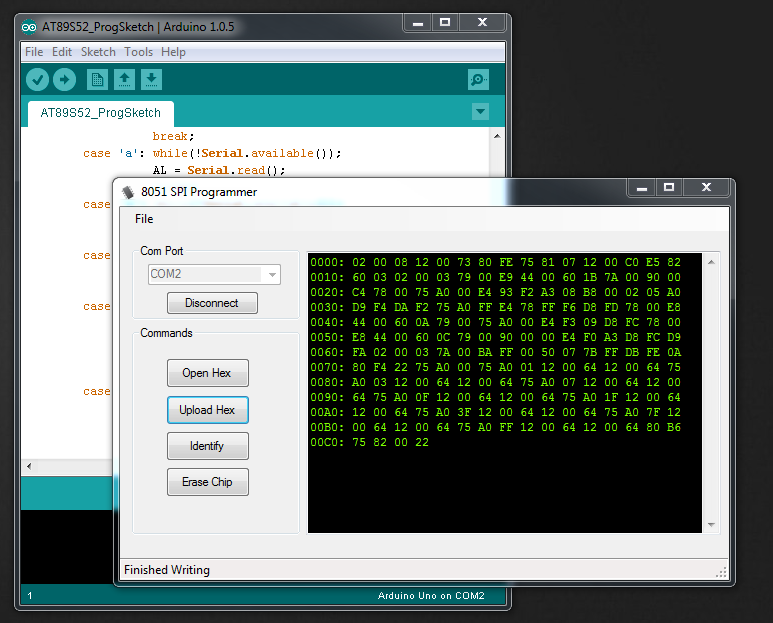 The arduino sketch was compiled and tested with Arduino IDE 1.0.5 and Gizduino 328 (Arduino clone in the Philippines by e-Gizmo Mechatronics Central). The program for the 8051 was compiled with SDCC. 5. Grab a beer and enjoy! Glad it worked, it is designed for AT89S52, If I remember correctly the NXP version has a built in bootloader, so you program it via the hardware UART. you may share it as you like. Cheers! 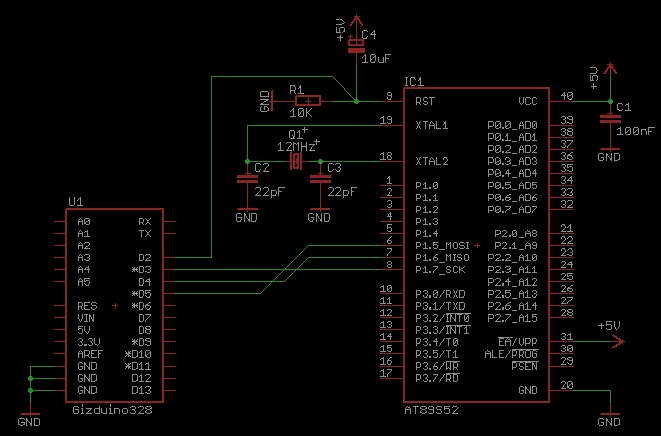 but its not running for other chip i have 89s52 its work for that but for phillips(nxp)p89v51rd2 what to do? may i share this on other website ? by crediting this webpage too. Hey tiktakx, this procedure worked great at quickly. I couldn’t get usabasp working for the AT89S52 after hours of frustration. But your method worked just great. Thank you. Is it working with AT89S51?